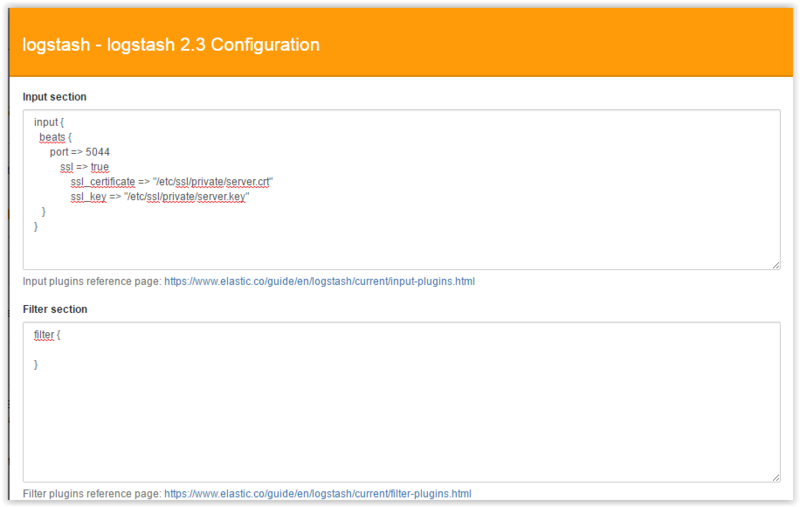 The next step is to configure PaasLogs. PaasLogs (Platform as a service) is a cloud computing model that delivers applications over the Internet dedicated to logs. This tutorial will help you to understand the core concepts behind the PaaS Logs and how to send your webserver logs to the engine. Now, you have your crawled urls classified by number of inlinks, number of outlinks, section type, compliant type, active type, wordcount, depth, ga sessions, … ( More information can be found here ). We just have to send SEO data to Paaslogs. Activate the Labs by clicking on more Labs… and then click on the PaaS Logs button. 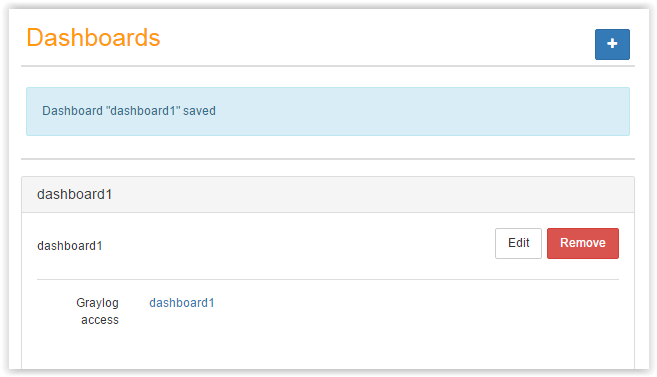 Once Activated a new entry will appear in the navigation sidebar, click on the PaaS Logs button there to jump to the main interface. 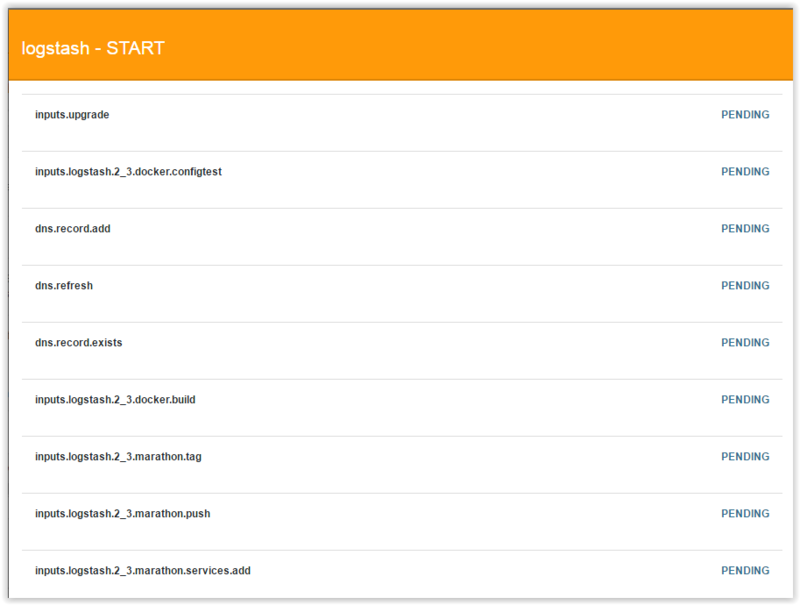 The main interface of PaaS Logs will then appear. 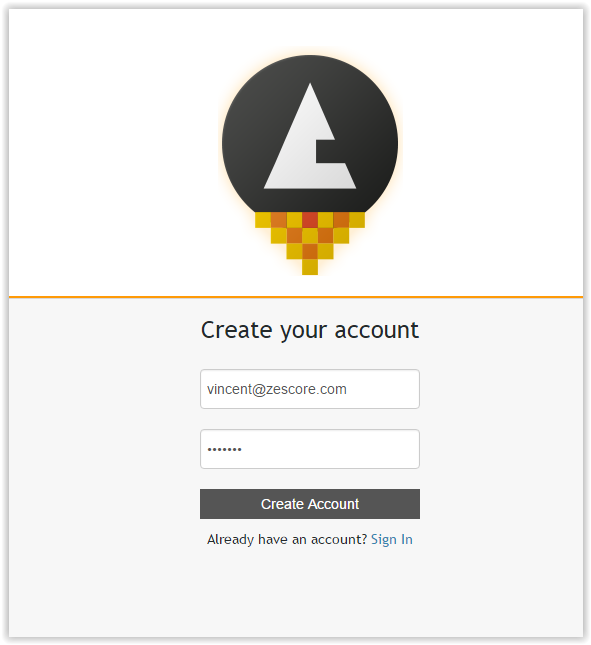 On this page, only one action is available: Create user. 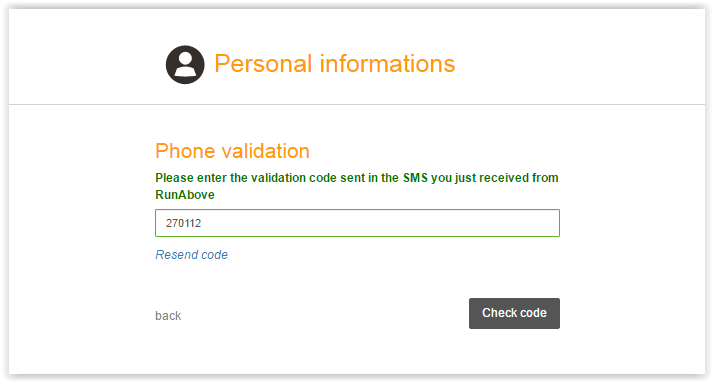 You will then get a username in the following form: ra-logs-XXXXX and the associated password. NOTE THEM CAREFULLY, you will have to use theses credentials with Kibana. The Streams are the recipient of your logs. The Dashboard is the global view of your logs. 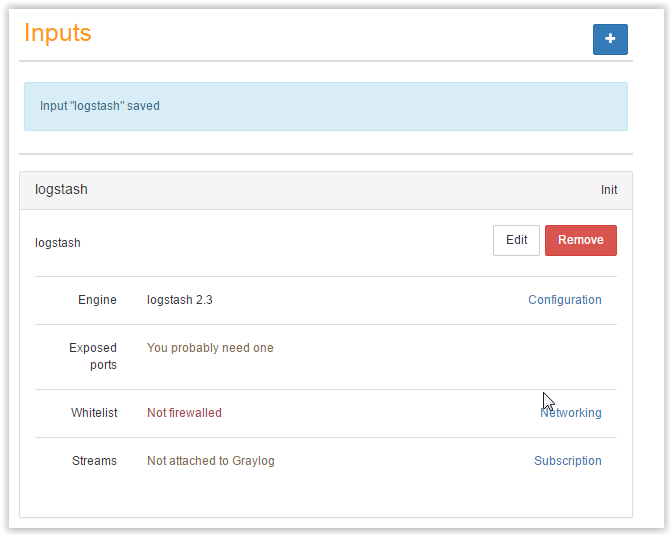 The Inputs allow you to ask OVH to host your own dedicated collector like Logstash. 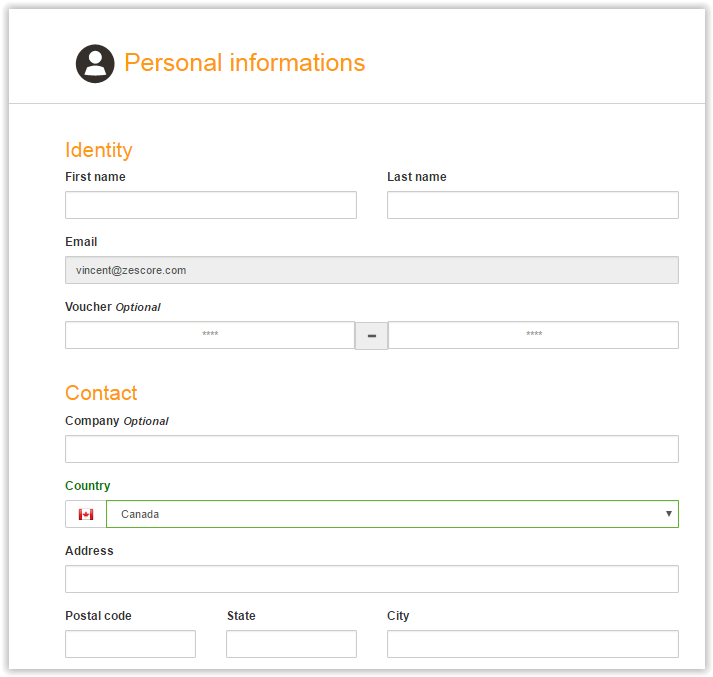 The Aliases allow you to access directly your data from your Kibana. 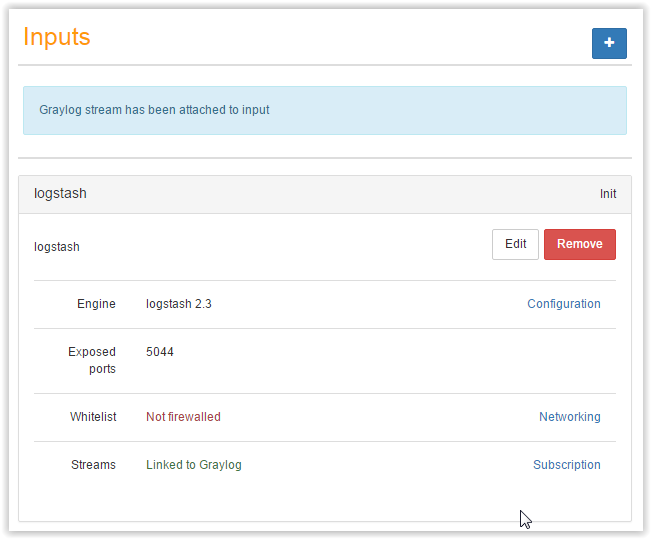 The Roles give you control over who can read and access your streams or dashboard. You have created your first stream. 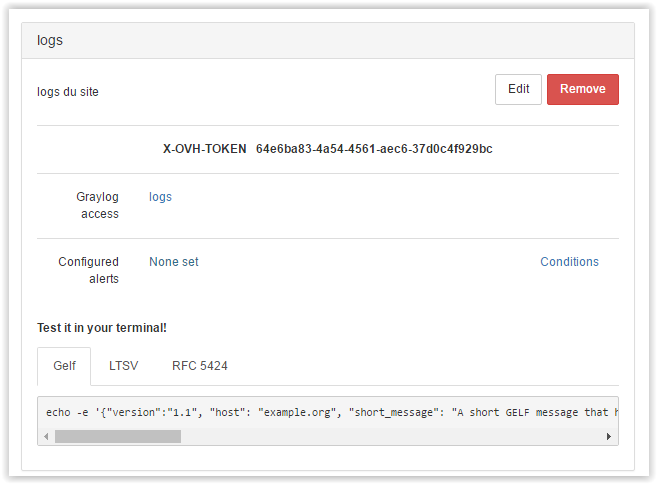 By expanding your stream information, you will see your X-OVH-TOKEN. This key is the only one you will need to address your stream. 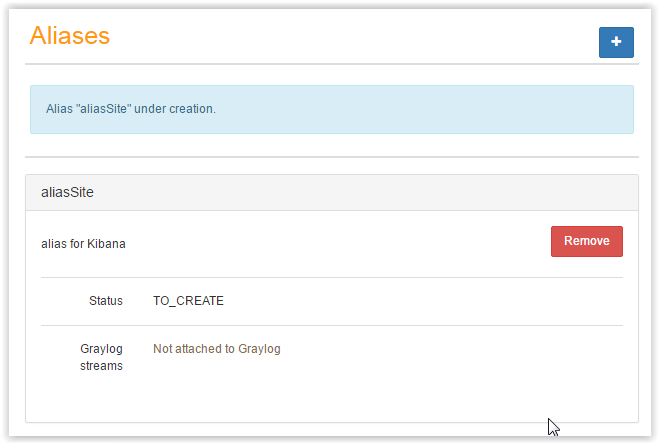 Under this token, you will have a direct link to your stream in Graylog. You have created your first dashboard. When your alias is created, you have just to associate it to your stream. Important: my login and password are specified for the elasticsearch plugin but in the next version of Paaslogs, this lines won’t be useful. The DNS filter performs a lookup on records specified under the reverse arrays. It is very useful to detect googlebot or msnbot. 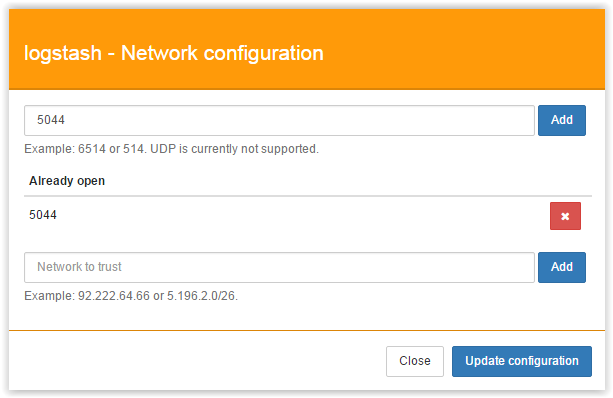 Click on the “Update Configuration” button and the configuration of Paaslogs is finished. If you are fast, you can do it in ten minutes. The server has restarted successfully ! 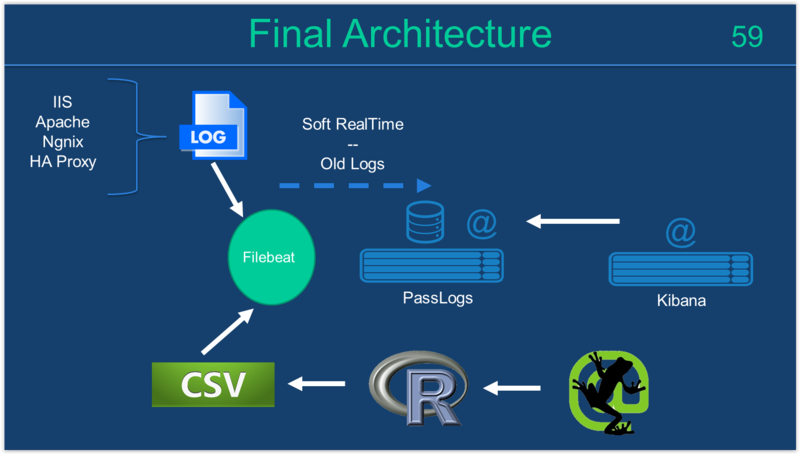 Filebeat is an open source file harvester, mostly used to fetch logs files and feed them into logstash. Copy/Paste laas-ca.crt in the path you have previously chosen. Here :/home/ubuntu/workspace/certificat/laas-ca.crtYou can also download it directly from this link (Right-Click then Save As): SSL CA cert. Now, you have configured your Paaslogs and Filebeat, and you just need to copy/paste your log files or csv files in the right directory. 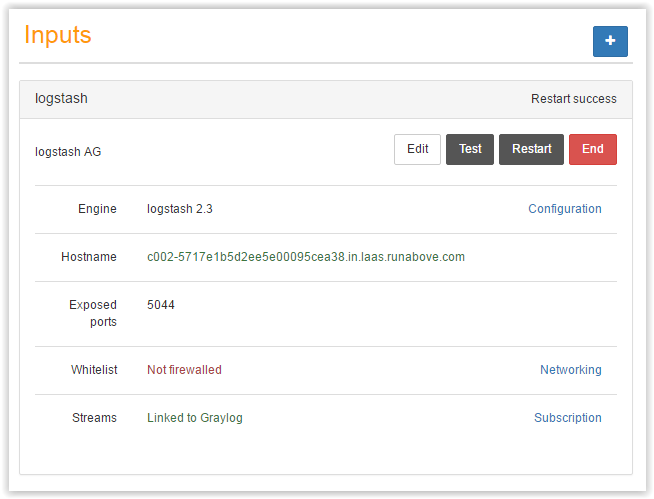 You can test your first dashboard with Graylog by clicking on the “dashboard” link and check that your logs have been sent correctly to Paaslogs.